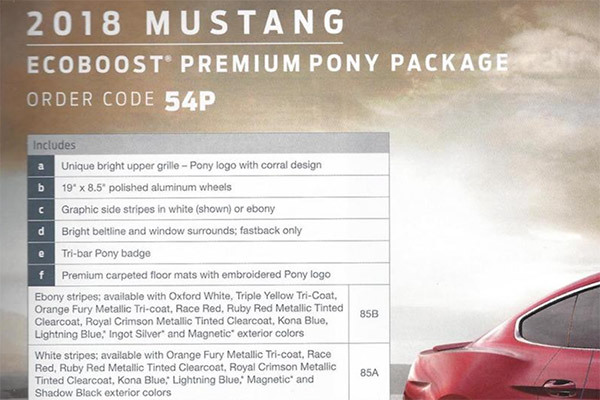 According to Mustang6g's Disneyfun1, the 2018 Ford Mustang will have a three new packages. 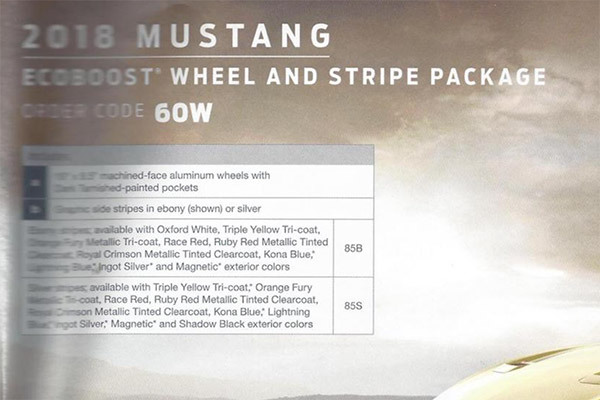 The packages include the EcoBoost Performance Package, Black Accent Package, and GT Performance Package. The three packages will go along side to pre-existing packages for a total of five. 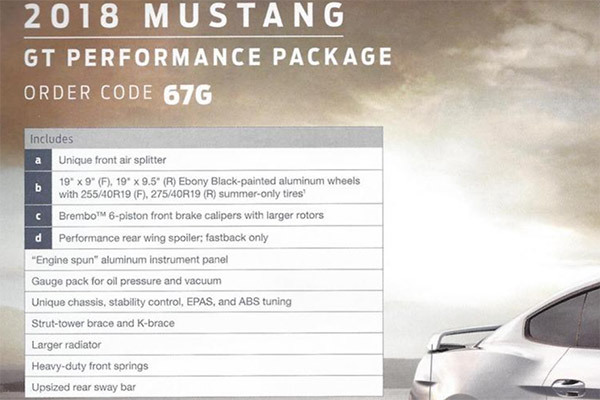 The GT Performance package will include the most modifications and includes a larger radiator, strut tower brace, six piston Brembo brakes, custom front splitter, 19 inch wheels and much more. 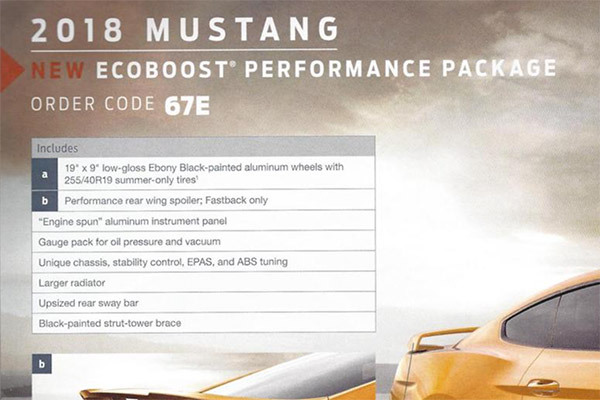 The EcoBoost Performance package is closely related to the GT Performance package but Ford decided to opt out from the K-Brace, splitter, heavy duty front springs, and Brembo brakes. 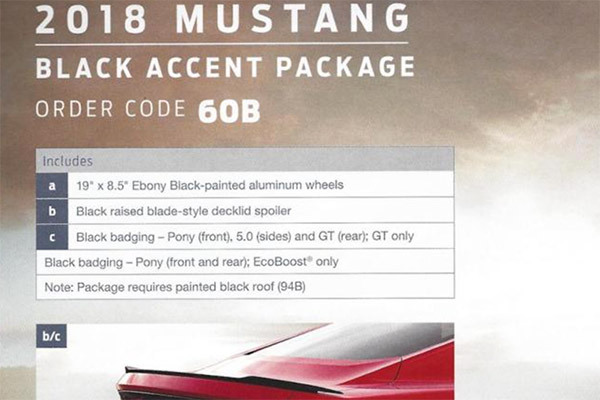 Finally, the Black Accent package has the typical black rear spoiler, black wheels, and black decals to give the Mustang an aggressive look. As far as performance is concern, all we really know is the 5.0-liter V-8's redline is elevated to a screaming 7,500 rpm and the 2018 Mustang will have a new exhaust system and direct injection. These three points indicate the 2018 Mustang GT will have a few more ponies than the current 435 horsepower Mustang GT. New video places the facelifted 2018 Mustang's styling changes in context.